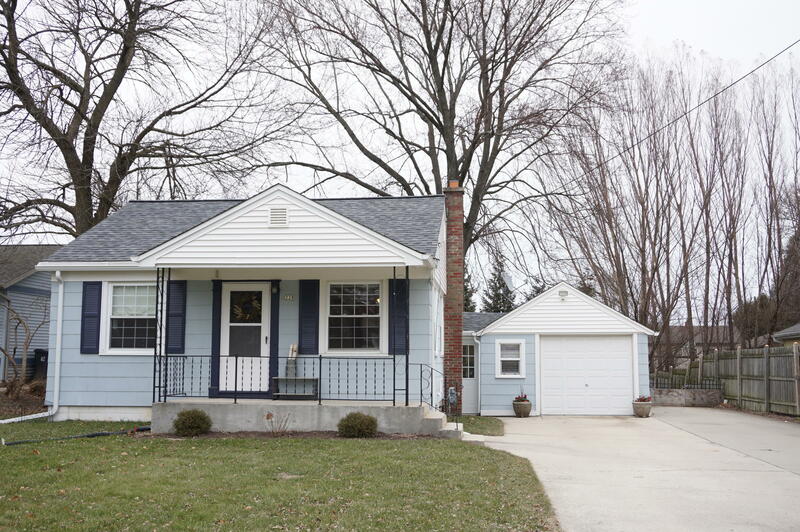 Charm & Character abounds in this ''cute as a button'' 2br/1ba/2.5 car garage ranch gem with fenced in private backyard perfect for entertaining and family gatherings or for just relaxing. Many recent updates include - newer roof, gutters, fascia, furnace/2014, water heater/2018, updated windows & doors, new vanity, sink & faucet in bathroom, Cozy Great Room is open to the Kitchen offer island & lots of cabinetry. Why pay rent when you can own and build equity. Don't miss out on this neat & clean home.